Everyone knows that Bonefish Grill is my favorite restaurant. I always enjoy my meal every time I go. I haven’t tried anything there that I haven’t liked. But I never seem to get around to trying a new dessert. 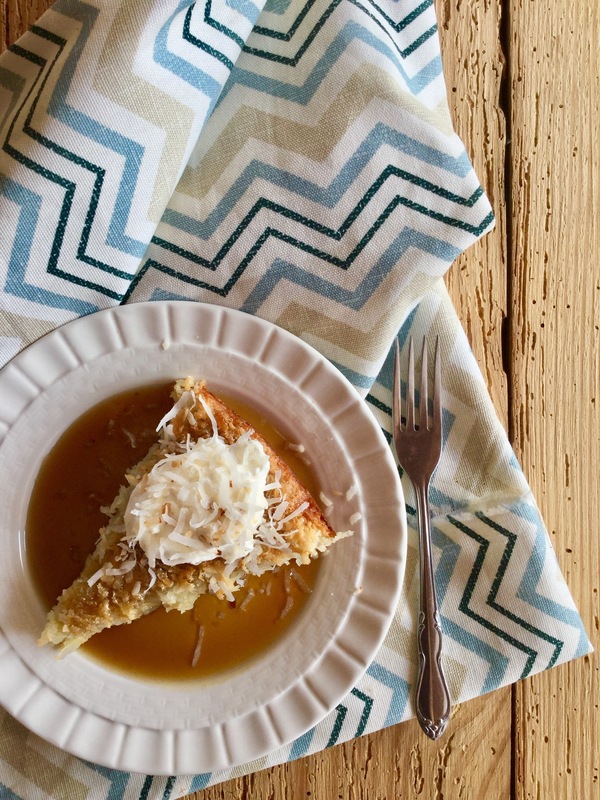 I was surprised to see that their Jamaican coconut pie recipe was so easy to find here on the internet… but I wanted to make it dairy-free. All I did was substitute all the milk for coconut milk and it turned out great! I toned down the rum in the sauce for personal taste but you can keep it like the original recipe. This pie was absolutely delicious, with a cup of coffee you have an amazing dessert. I can’t imagine the pie at Bonefish being any better. 1)I topped all of my friends’ pie with fresh whipped cream. I kept mine completely dairy-free and added no whipped cream…It was delicious without it. 2)Keep in mind that the sauce does have butter in it, which does contain milk. 4)In order to get 2 cups of coconut milk, you will have to get two cans of coconut milk. Full-fat coconut milk separates in the can. So I combined it in my blender, and then measured it. 5)Myer’s Rum just happens to be my favorite rum. I think it’s the best….. highly recommend it. 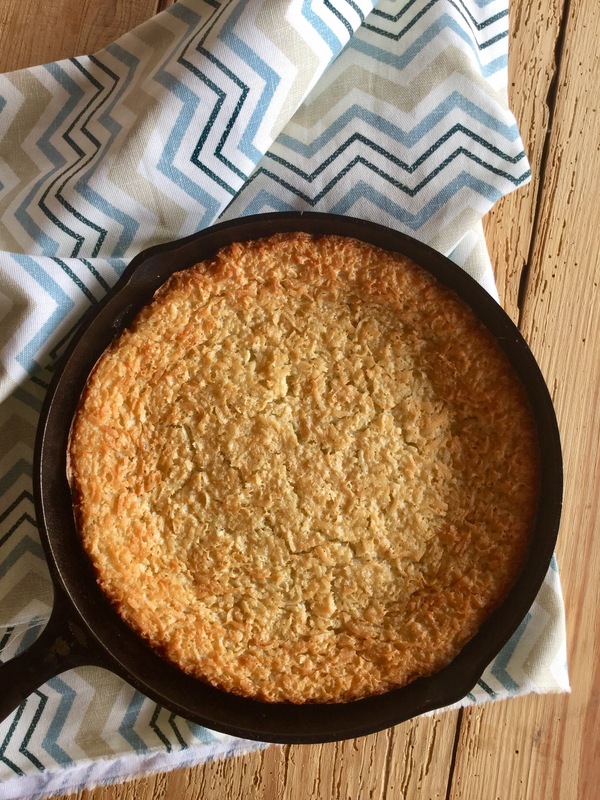 6)I put my pie in a 8-inch cast iron skillet, but a 9-inch pie plate will work fine. You may have to adjust the baking time to 40-45 minutes. Preheat oven to 350 degrees F. Spray a 8- inch cast iron skillet with non-stick cooking spray. Place the coconut milk, sugar, flour, eggs, and vanilla in a large mixing bowl. Mix using hand-mixer for 2 minutes. Add in coconut flakes. Pour the batter into the prepared skillet and bake in preheated oven for about 55 minutes. Once the pie is baked, prepare the rum sauce. Place the butter and brown sugar in a medium-sized saucepan. Cook until the sugar is dissolved over medium heat. Remove from heat; add in rum and place back on heat for 1 minute, NO Longer. 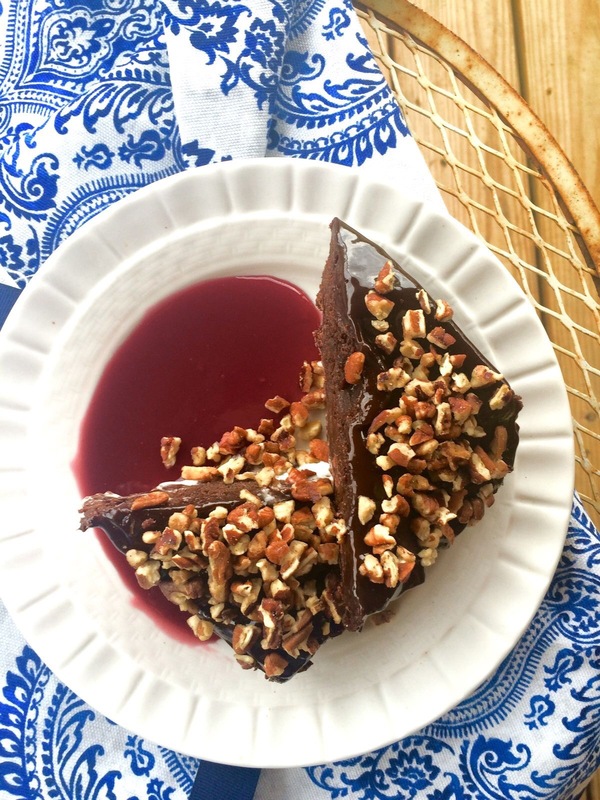 To serve, slice the pie and top with rum sauce. If desired, top with whipped cream and toasted coconut. Enjoy !